During the month of March, we have focused on the theme of generosity. We talked about ways we can be generous with our words by complimenting others. 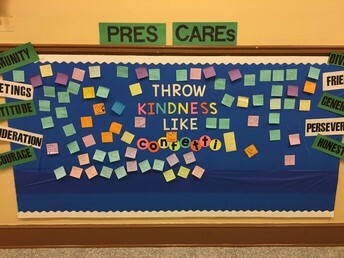 We invited students (and staff) to write compliments to one another and hang them on our PRES CAREs bulletin board, in an effort to "Throw Kindness Like Confetti." 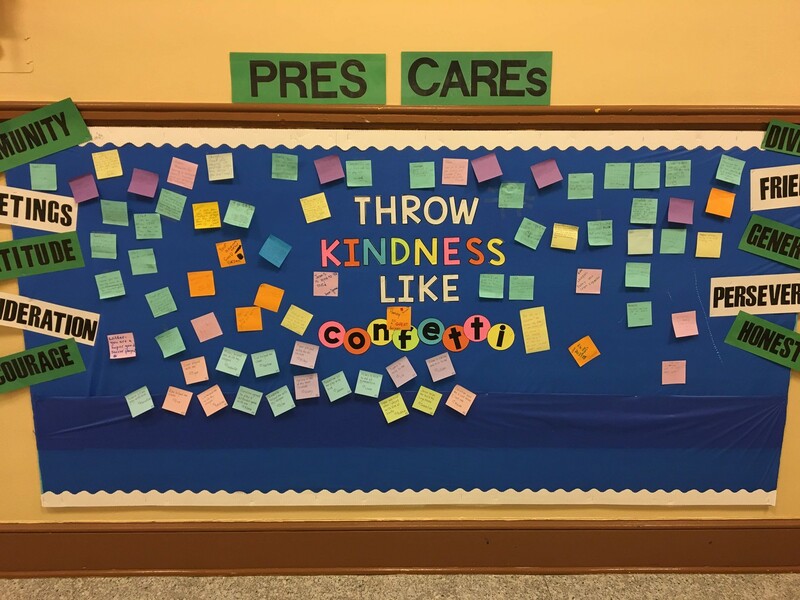 We will hold our next monthly CAREs assembly on, Thursday, March 28th. Students and staff are invited to wear PRES clothes or the school color, green, for our school-wide assembly. 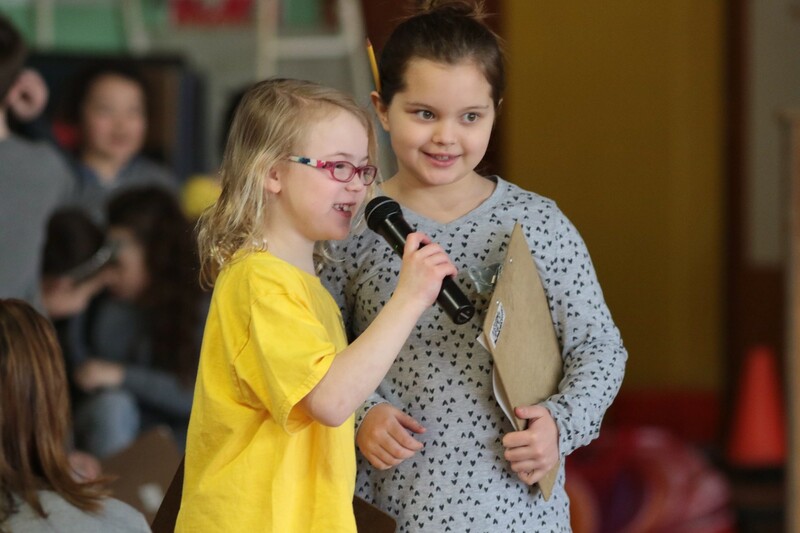 At this assembly, we will focus on generosity and our CAREs values, led by our first grade team. On Friday, March 29th, we will celebrate our school spirit with Dress Like a Teacher Day! 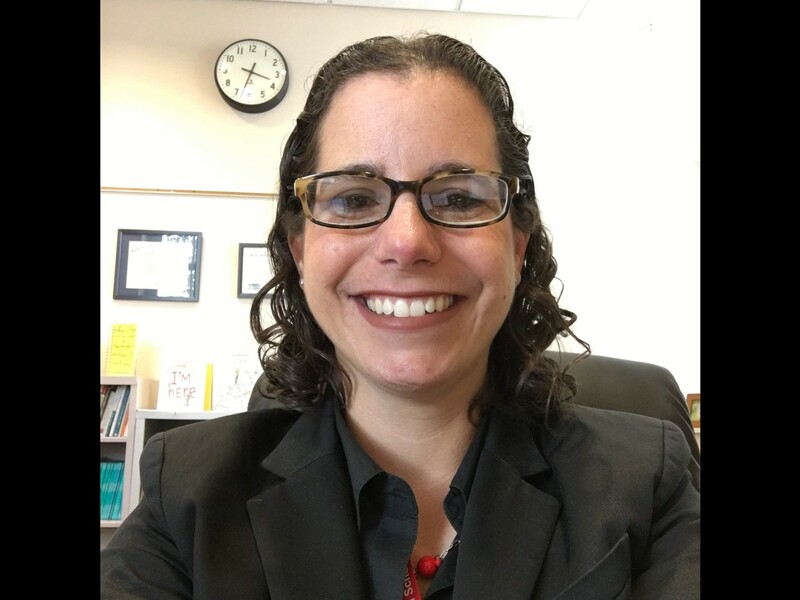 Students are invited to pick a beloved teacher and dress like him/her! Be creative! 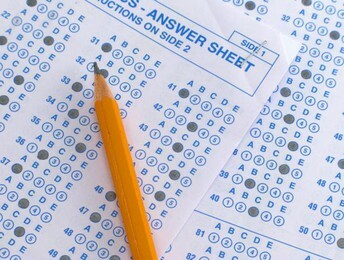 We expect students to do their best work on these assessments, without putting too much pressure on them. This is a snapshot in time, and one data point we use, among many others, to assess our students' progress throughout the school year. You can help us prepare your child by ensuring he/she gets a good night's sleep the night before and a healthy breakfast on the morning of the test. BCSD Elementary Bike Run is Coming! The 9th Annual BCSD Elementary BikeRun is Sunday, May 19, 2019! Registration will close on March 29, 2019 or when we reach capacity of 400 students. Spaces fill quickly so please register now! The 9th Annual BCSD Elementary BikeRun is back and will be held on Sunday, May 19. The BikeRun will be held on the Fox Lane Campus and begins at 8 AM on May 19. 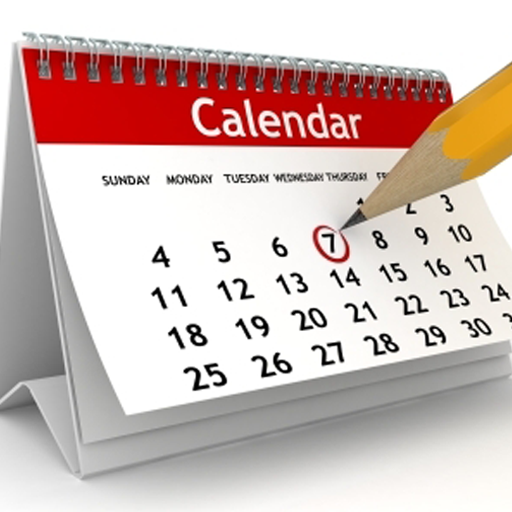 Please mark your calendars - registration will close when we reach capacity of 400 BCSD elementary students. BikeRun, as always, will be a fun-filled day for the whole family - with food, activities, music and festivities! 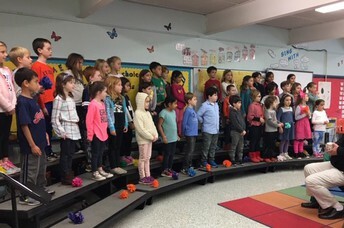 All Kindergarten through 5th grade students attending BCSD elementary schools (Bedford Hills, Bedford Village, Mount Kisco, Pound Ridge and West Patent) are welcome and encouraged to participate. Registrations are on a first-come basis and limited to 400 students, so if you intend to register your children, please do so quickly! All registrations are accepted online. For more details, visit the BCSD BikeRun website at http://bcsdny.org/k5bikerun. Over the past eight years, BikeRun has donated more than $20,000 -- $4,000+ per elementary school -- to BCSD physical education programs. Due to both successful registrations and generous sponsors, we are very pleased to be able to give back to the PE programs who help our students stay moving! 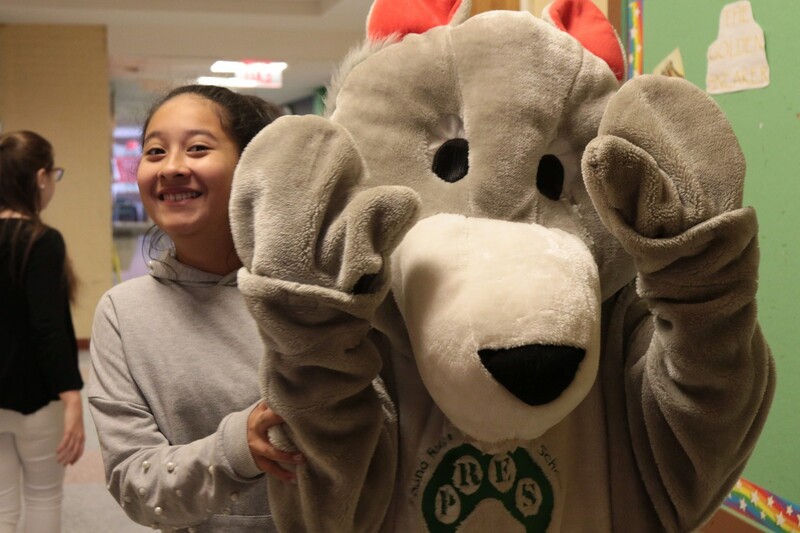 The BikeRun is the only health and wellness event that unifies all five BCSD elementary students and their families, with 1,000 people expected on campus the day of the event. Participants provide their own bike, and helmets are required (no exceptions). Training wheels are allowed. Kindergarten students are welcome to use any sort of wheels – tricycles and training wheels are welcome! Modified heats are available for students with special needs. BCSD is an inclusive community and there will be accommodations for students requiring support at the event. Please email bcsdsepto@gmail.com with your contact information and we will follow up on the accommodation plan for your student. 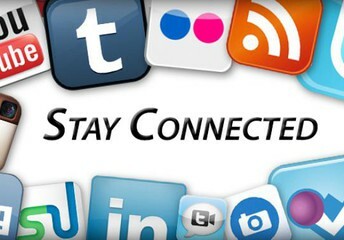 We're here for questions, please send any to bcsdbikerun@gmail.com and we'll be right back to you. Thank you and we look forward to seeing you all at the BikeRun! 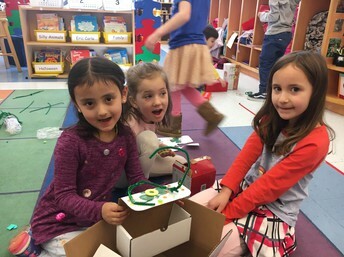 Last week, our kindergartners made traps to try to catch a sneaky leprechaun. Our fifth grade buddies came to help us and we set up our traps around the school. We didn’t catch a leprechaun, but we did have a visit when we weren’t looking! The leprechauns made a mess of our classroom and left a scavenger hunt for us with gold coins for everyone! First grade has been diving into our nonfiction units for reading and writing workshop. First graders are learning to write “All About/ Expert Books” on topics which they know A LOT about. Topics range from expert books about candy, Legos, and even Komodo Dragons. 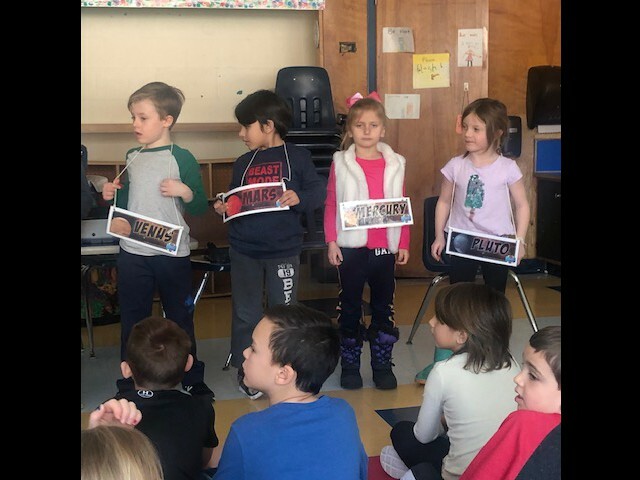 First graders are inspired and motivated to share their knowledge and expertise about the things that matter to them and that they LOVE! 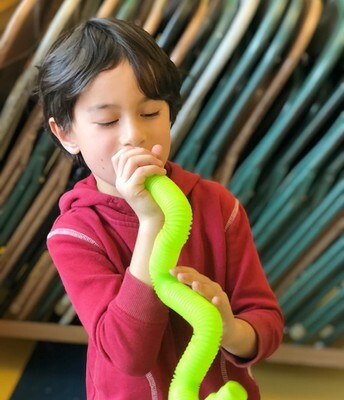 In science, first graders have been diving into units on Sound and Vibration as well as Earth’s System: Patterns and Cycles. We were very lucky to have the MAD SCIENCE program visit our classrooms multiple times for some hands-on fun! Thank you Art and Science Committee for making this enrichment possible! Our second graders have been enjoying our new science curriculum. 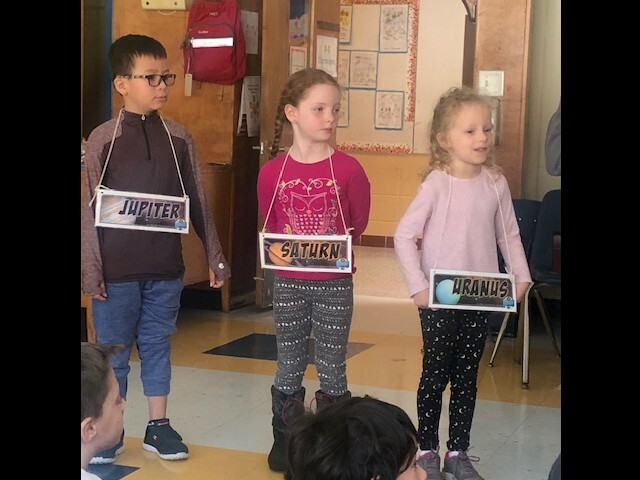 During this unit, called Processes that Shape the Earth, students were able to plan, research and share their learning about Earth changes (tornadoes, hurricanes,etc.) and landforms. 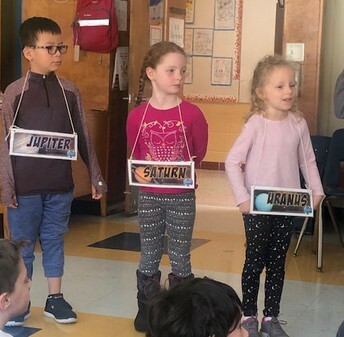 Through google classroom, children were able to choose topics of interest, watch videos, read books, and record their learning in their science journals. Coming up, we will explore and observe the effects of erosion through a hands-on simulation and come up with a plan to prevent erosion. 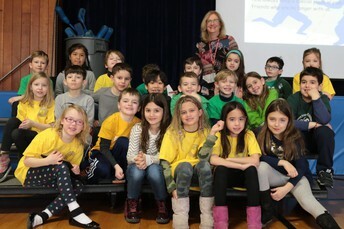 Second grade also led our CAREs assembly last month focusing on Friendship. 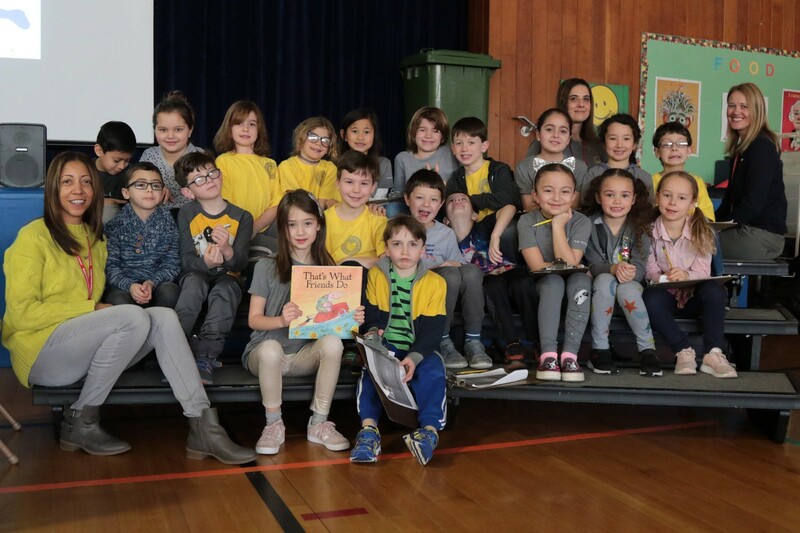 They read a book, That's What Friends Do, sang songs, offered friendship tips, and honored both our friends who are here with us and our friends who are no longer with us: beloved teacher aide, Mrs. Nancy Morfea, and classmate, Lucas Harashima. 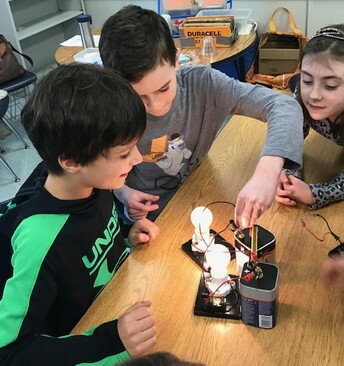 In science, our third graders have been exploring electricity. Our unit was kicked off with a HighTouch HighTech program called, Edison’s Workshop. This was an enrichment program paid for by the PTA. 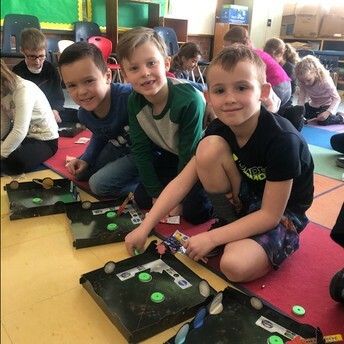 The program provided hands-on STEM experiments which allowed students to make direct observations and to manipulate materials and equipment. Back in the classroom the students continue to explore electricity concepts. They have been creating series and parallel circuits to make a light bulb turn on. In addition they have created simple switches and pressure switches. The students are also discovering what materials are good conductors of electricity and what materials are insulators. This has been an exciting unit rich with discovery. 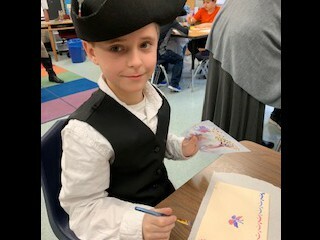 Fourth grade recently brought history to life with their annual Colonial Day! 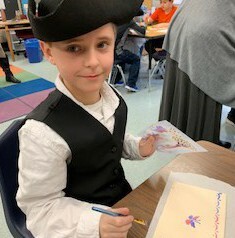 Students enjoyed dressing up in authentic colonial clothes. 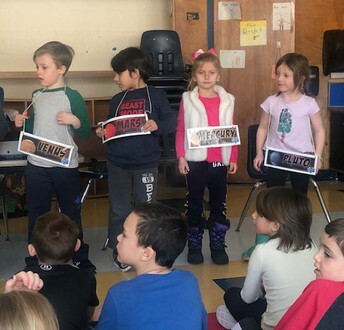 Throughout the day, students participated in a variety of activities that typically took place during Colonial Times, including: candlemaking, tinsmithing, stenciling, toys & games, Dame School, textiles & cooking, music, and dance. Thank you to all the parent volunteers who helped to make the day successful. 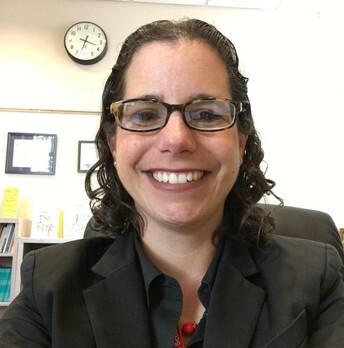 A special thank you to Allison Levey, who coordinated all the Colonial Day events. Fifth grade was fortunate to visit FLHS to see the Fox Lane Middle School perform High School Musical. Our fifth graders are in the midst of a study of the human body. 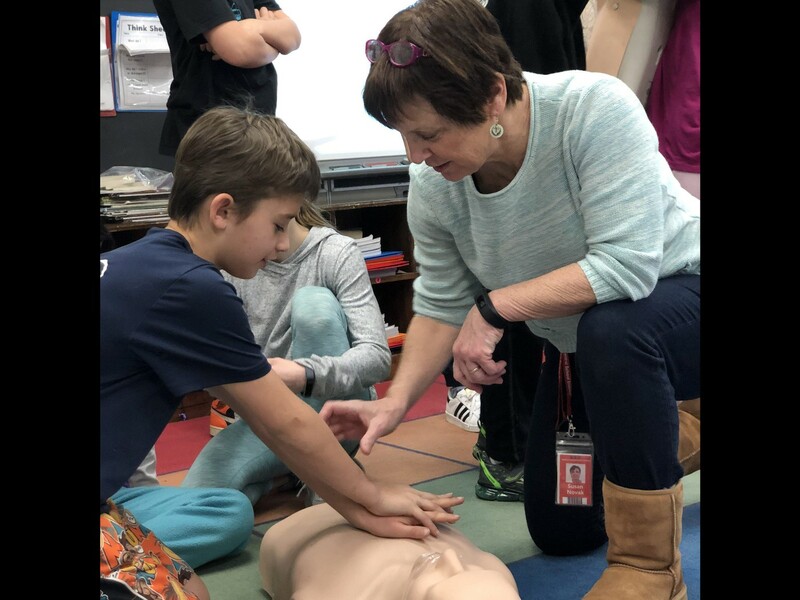 Students learned CPR from Nurse Novak. 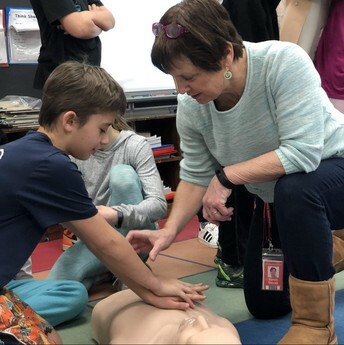 They also took part in a “Gobs and Goo” science enrichment class where students examined models of organs from the body with a hands-on approach. Students were active participants in a hands-on Breakout EDU on the human body. Fifth graders just finished publishing argumentative essays based on topics such as, "Are zoos appropriate for animals?" and "Are extreme sports worth the risk?" We are looking forward to studying the Civil Rights Movement in Social Studies and learning how to read fantasy in book clubs. In addition, we have many field trips and activities planned for a fun-filled end of year. The Art Room is a Buzz in Preparation for PTA Auction & Art Night! Spring is a busy time in the Art Room! Each class has been working on their collaborative artwork for the PTA Auction, and now we are starting to get ready for Art Night on May 16th! It is just about time for students to submit their artwork for the show, so everyone is busy adding the final details and finishing touches to their work. 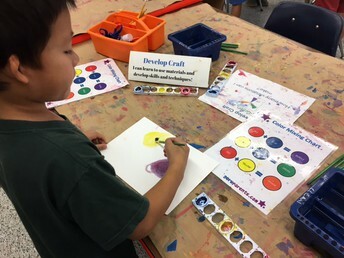 In the coming weeks, Kindergartners will glaze their pinch pots, first and second graders will begin exploring more 3-dimensional work, third graders will begin self-portraits, and fourth and fifth graders will be learning new printmaking techniques! The fifth graders are beginning their composing unit in music class this month. They will be creating their own melodies for the Vendor Project. They get to decide what they will sell and create a catchy tune to help them sell their wares. Props and choreography are welcome! Fourth graders have been reading and writing new rhythms as they prepare to create their own rhythmic compositions with body percussion. Third graders are excited to begin learning how to play the recorder!! Recorder playing will be incorporated into each class. 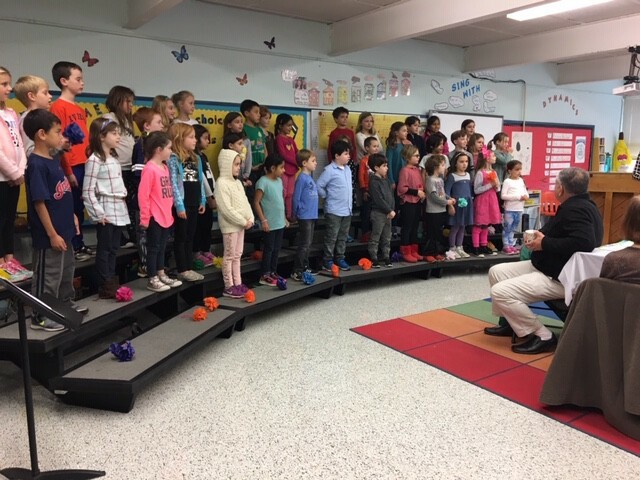 Second graders have begun rhythmic reading in music class. They will be continuing to play the Orff instruments. First graders are excited to begin playing the Orff Instruments this month! 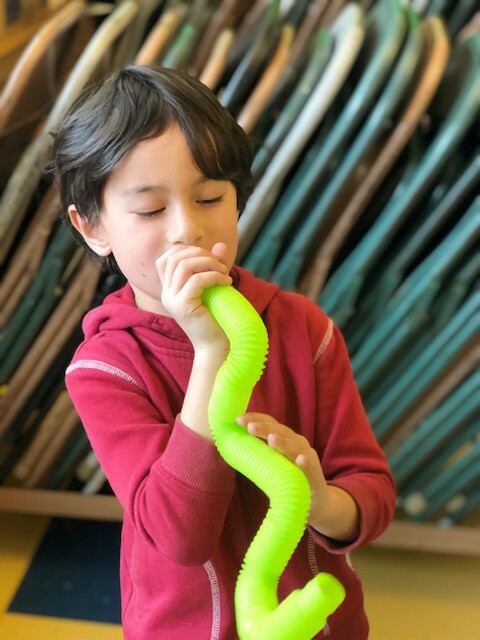 Kindergartners have been enjoying using creative movement to act out stories in music class. Also visit our PRES school website: https://www.bcsdny.org/Domain/277 for local school updates.